While travelling across our country, I encountered the same complaints from people no matter if they are urban, suburban or rural. They are asking why the United States is so politically divided that it is ripping itself apart. For many it feels like a Civil War is about to erupt. 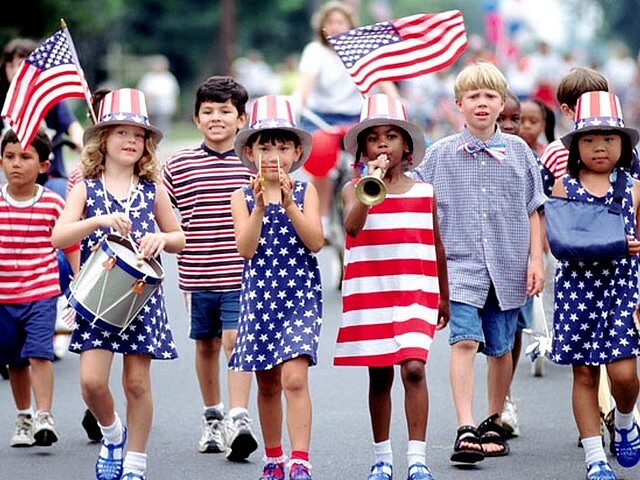 As concerned Americans, especially Parents, we want our children to grow up in the same wonderful USA that raised us. We have an amazing country with such a potential future, but realize that this Red-Blue Political Madness is dividing us to the point of destroying us and everything we hold dear. We know that what unites us is far greater than what divides us and the solution is found by working together. Together as one country – is the only way things will improve for all. That is what America Together is all about. Living together side by side and putting aside these political differences for the common good – and bringing that message to our children. America Together is an organization finally taking needed action to help bring our United States together for us, our children and future generations. America Together Organization was founded by people who could not sit by quietly anymore while our USA is being ripped apart with red-blue political madness. As ONE COUNTRY, we need to learn to live together and let our diversity be our strength, not our division. 1. Educating our Youth on Shared Civility – America Together sees youth as the future of the country. Growing up with a commitment to Civility in Politics while young – means growing up to Adults who can listen and respect others and their opinions. 2. Outreach to Communities – When different communities see conflict as the only way to resolve political disputes – everyone loses. By building community coalitions around shared values and goals, everyone wins. 3. Community Projects – The most effective way to counteract the growing political polarization is for different communities to work together on shared projects. Building bridges together for the common good. 4. Together America Events – The more people that see the need to bring America Together, the closer we are to achieving our goal of a better America. People will see that they are not alone in their quest for an America that is not torn apart by extremists and fanatics. Together we can help America from ripping itself apart and bring her closer together. America Together Organization is headquartered in Washington DC. The organization was founded by Oran Margulis, a business entrepreneur, who has always believed in giving back. He previously founded a non-profit organization that purchased 100 new firetrucks. Oran is married to his wife Pam – who originally comes from South America and together have 2 young children. They have a Spanish-English bilingual home and believe that different cultures can blend in harmony. Wild Brands, short for Wilderness Visions - owns and publishes several online magazines and newspapers. As well, as operates several brands. Which include - Swim Rags, Slip Shoe, & Content Spots to name a few.